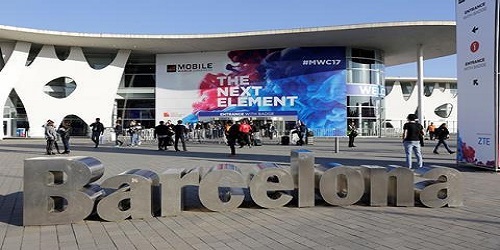 Mobile World Congress 2018 (MWC-2018), largest Exhibition of technology, was held on from 27 February to March 2, 2018 in Barcelona, ​​Spain. This year’s exhibition ended on last Friday, 2 March 2018. 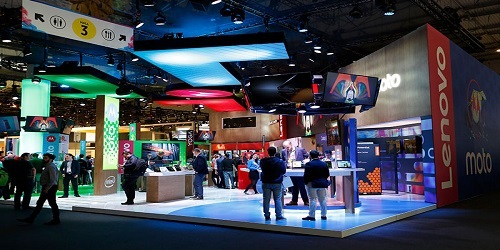 In this year on the occasion of the MWC, technology companies have set their stalls with the latest innovative technology devices. Ali Abedin Babul have reported about MWC-2018. Various newly innovative Smartphones was the most attractive things in this year’s exhibition. Besides smartphones, there was huge interest among young visitors at fitness trackers, smart speakers and virtual realities among the visitors. Samsung unveiled the “Galaxy S9 and S9 Plus” smartphones in the Mobile World Congress. Design of these two phones is very similar to the S8. The S9 and S9 Plus devices have 5.8 inches and 6 inches inches display. In both phones they used improved camera, fingerprint sensors, facial reaktions and AR technology. The S9 and S9 Plus includes 4 GB and 6GB RAM and 64 GB internal storage. Smartphones will start selling in different countries from March 16. Sony is the leading technology company announced inauguration their “XPERIA XZ-2 and Xperia XZ-2” compact smartphone in MWC – 2018. Smartphone uses 5.7 inch and 5 inch display. Both the phones are running Android 8 apps. The device has two Snapdragon 845 chipsets and 4GB of RAM. Besides unveiling smartphone, Sony also announced “XPERIA YAR DUO” Wireless headset in MWC- 2018, Bercelona, to make Apple AirPad and Samsung Gear IconX headset with an edge. In USA market this month sale of Wireless Headset will start. Price information of Xperia Yar Duo headset was not published. As well as listening to music with this headset, Google Voice Assistant and Siri can be used. Xperia Yar Duo will give backups to Samsung three times more than the Apple Wireless Headset. It has quick charging technology. Huawei unveiled a premium tablet with new range tittle “MediaPad M5” on the occasion. There are 3 tablets in the M5 range. These Android tablets have latest Android updates. In addition, company unveiled a laptop called MetBook X Pro. It has a 13.9 inch display. A lightweight laptop looks like Apple’s MacBook Pro. It includes the eighth generation Intel Core i7 processor. The laptop has 16 GB of RAM and 512 GB SSD. The device has two USB type-c port, a USB type port, fingerprint scanner. The device costs 1499 euros. Shawami announced next flagship smartphone on first day of Mobile World Congress. The device uses latest Qualcomm Snapdragon 845 processor. The 5.9-inch display offers 8 GB of RAM, 256 GB internal data storage. It used the battery of 3,400 millimeter-hour battery. The price of Android 8.0 operating system was not released. In this year’s MWC, Asus has unveiled a number of new smartphones. The devices are Asus Jenophon 5Z, Janefone 5, Jenphone 5 Lite and Jenphone Max (M1). Asus CEO Chief Executive Officer (CEO) Jerry Shane said, “We launched the Genfon project four years ago. The main objective of this project was to provide luxury phone to all. The Genfon series smartphone is now the world’s most intelligent device. Due to artificial intelligence and big data analysis facilities, these devices have been appreciated by customers. Lenovo also has unveiled new three Yoga laptops in this year’s mobile world congress. The device has three devices – 13 inch version of Yoga 730 laptop and eighth-generation Intel processor on 14-inch display Yoga 530 laptop. Yoga 730 model’s 13-inch display price is 999 Euro On the other hand, its 15-inch version costs 1 999 euro. Yoga 530 Laptop Price 549 Euro. Renowned band of mobile phone “Motorola” is now under “Lenovo Lenovo” wants to bring Motorola band back to the smartphone market again. And for that Lenovo’s most popular band “Moto Razor” handset could be seen again. Lenovo’s Chief Executive Officer Yang Yuanqing told that the popular Moto Razor smartphone band would be return soon. He speaks at a conference in the Mobile World Congress, in Barcelona, ​​Spain. For more update about science and technological news, like our page. Leave your comment, like our Facebook page. Visit www.techupdatenews.com. Please likes and share of Mobile World Congress 2018.